Banking, social networking and shopping are a just a few of the online activities performed by millions of people every day. 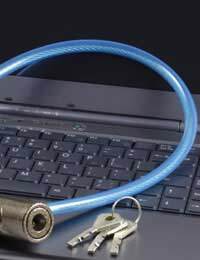 Internet privacy rights should be a major concern for those who use computers at home and at work. Anyone who spends time on the internet should be aware of the personal information that they are disclosing. Web users who spend time on social networking sites can disclose huge amounts of private information. No one would go up to strangers and provide them with reams of personal information. But this is exactly what people are doing on social networking sites. Social networking sites store this information and there are sites that will keep this information even if the account has been deleted. Why Would Anyone Want to Monitor My Personal Information? There have been many media reports about the monitoring of social networking sites by outside parties. There have been claims of debt collectors pursuing non paying customers through networking sites. There have been claims that government agencies have tracked fraudulent benefit claimers via networking sites. Advertising is one of the major reasons why networking sites hold massive amounts of personal user information. Personal information can allow advertisers to analyse and target products that are relevant to users. If I Don’t Use Networking Sites Do I Have More Privacy? Consumers who shop online are giving out personal information. People who shop online are giving their name, address and internet address to the shopping website. This information is then passed on from the website to advertisers; online activities are now tied to real world identity. Cookies on the user’s computer are used to store user information to a website and can be accessed by third parties. Advertisers can then use this information to track online shopping and send specific adverts to the customer. Do All Online Retailers Give Out My Information? Are My Internet Activities at Work Monitored? Most companies will have their own policies regarding private internet use during working hours. But the fact is that employers can monitor all internet use on work computers during working hours. Many people have been fired from jobs for abusing the internet during working hours. Employers must make it clear to their employees that they are monitoring internet use. Employers do have the legal right to ban private internet use. Can My Employer Secretly Monitor my Internet Use? In reality employers would find it very difficult to justify the monitoring of staff internet use without informing them. If the employer thought that criminal activity was occurring then this could be used as a genuine reason. If employees are using the internet at work to send personal emails they should not use the work’s email address. But if the employer has stated that internet use is to be monitored then private emails can still be intercepted by employers. Do I Have Any Privacy Rights When Using the Internet? Although the internet is very difficult to monitor when it comes to privacy there is a certain amount of protection. The Data Protection Act has rules that businesses must adhere to when it comes to privacy and personal data. These rules include how long user information can be stored by companies, the accuracy of the information, security, and how the information can be used. A small amount of good news is that Europe does have much stronger privacy laws than many countries around the world. How Can I Guarantee Privacy When Using the Internet?